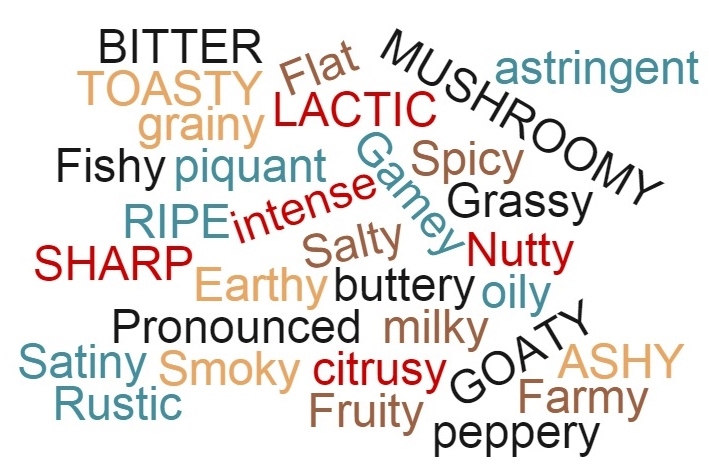 AMP UP YOUR DESCRIPTIVE WORD GAME – Similar to wines, there are many words that describe the smell or taste of cheese. And also just like wine, these are entirely subjective. Everyone’s sense of smell and taste are completely different—profiles are never interpreted the same. What is “ashy” to you, may be “sweet” to me. Don’t worry; your taste buds have not forsaken you! Check out our list of descriptive cheese words that will help make you look like a “cheesenius” (a cheese genius) at your next cheese party. THE BONUS SENSE IS…SOUND!!! – Your cheese is trying to tell you something. Come closer! Hearing our food is actually important to our experience. Imagine eating an apple that doesn’t crunch when you bite it. Or having a piece of bread that should be soft and fresh, but is hard and crispy when you dive in. 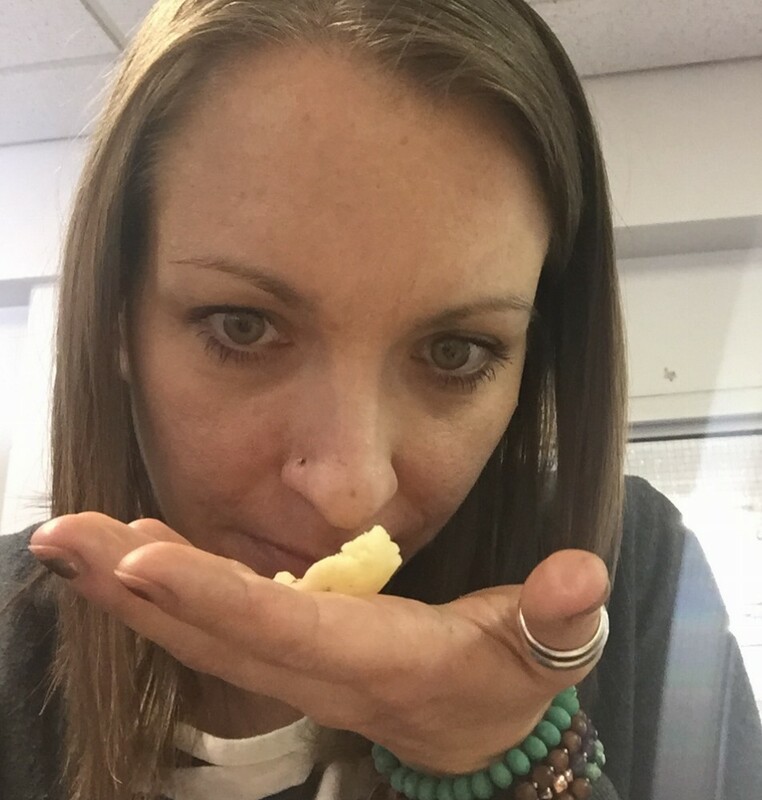 QUICK TIP: Bring cheese curds to room temperature or microwave for 10 seconds before eating–this will bring them to their full squeaking potential. 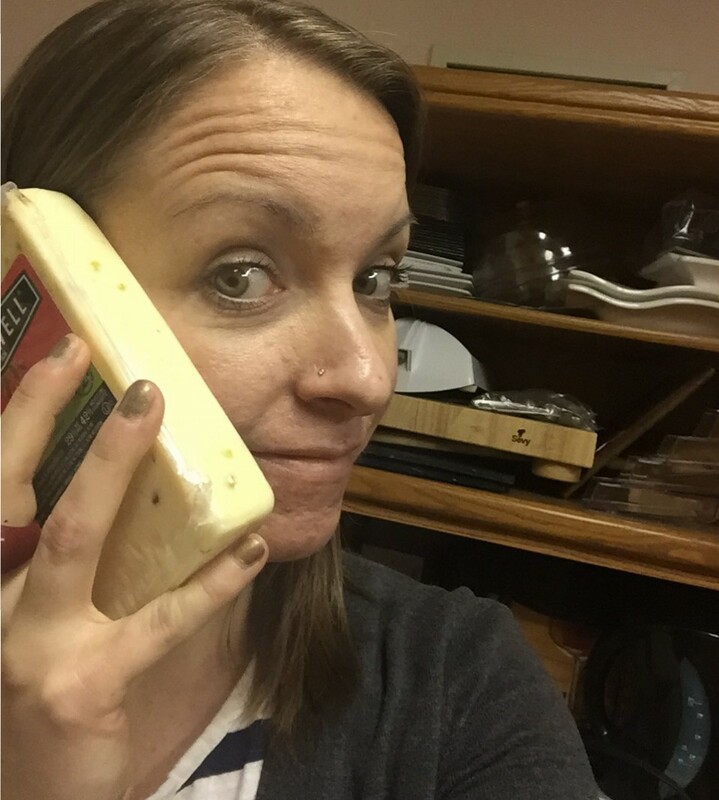 No, this is not a fancy new cheese phone 6S…I am listening to my food silly! Thanks to David Beaudoin for teaching me that when you bring all your senses to the table, your cheese eating experience is ramped up tenfold. After attending his tasting session I now have a new appreciation for blue cheese (a drizzle of honey changes everything). Hello Blue Bénédictin, from La Fromagerie de l’Abbaye, will you marry me?!!! Is that too forward? CONTEST ALERT! Which variety of cheese (Bothwell or not) does your palate find the most appealing or intriguing? Share your thoughts in the comment area below for your chance to win a FREE block of Bothwell Cheese. Contest closes Midnight, February 26, 2016. Good luck! I can’t believe i’ve been eating cheese wrong this whole time! I love Bothwell old Cheddar ,eating it either alone or in recipes it adds a great flavor. It is fun to try new ones – Red Wine Extra Old was the latest -but I always come back to Jalapeno Monterey Jack! The most intriguing cheese , to me, is your horseradish cheese..very horseradish-y! The most apealing is simply your mild cheddar….the most amazing cheese, ever! Proud that you are such an accomplished Southern Manitoba company. Hi Carol – We drew the winner yesterday afternoon and it was Kim Kehler. Thank you for entering and stay tuned for another contest soon!